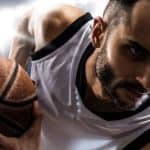 Hoopstar is a pretty new basketball hoop maker that seems to be poised to compete with the likes of Silverback and Spalding for the in ground basketball hoop market. 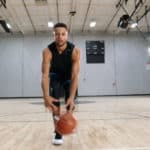 They are so new in fact that their only known model they have right now is the Hoopstar Nova In Ground Basketball System, which comes in both a 54 inch backboard and 60 inch backboard sizes. 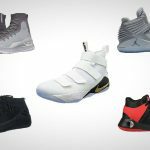 Given that they are so new it is reasonable for buyers to be skeptical, but we feel that due to the 5 year warranty on their products it gives potential Hoopstar buyers some added comfort when making the Hoopstar Nova their basketball hoop of choice. 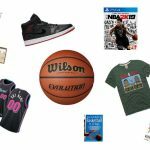 Now that you have a little background on the Hoopstar brand let’s talk about the Hoopstar Nova In Ground Basketball Hoop’s features and characteristics. 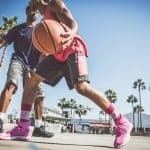 We feel the Hoopstar Nova is most comparable to the Silverback SB54ig and the Silverback SB60 In Ground Basketball Hoops. From a price standpoint Hoopstar Nova hoops are about $50 cheaper than their Silverback counterparts. The Hoopstar Nova as with the Silverback models features a high quality tempered glass backboard which will perform in a superior fashion compared to acrylic and polycarbonate backboards. Breaking down the tempered glass backboard on the Hoopstar Nova In Ground Basketball Hoop a bit more we find that the 54 Inch and 60 Inch version are 5mm and 8mm thick respectively. We love the fact that the Hoopstar Nova In Ground Basketball Hoops come with backboard padding that lines the bottom on the board to enhance the safety of the players during games. The backboard also features some bracing for greater stability and to minimize vibrations. The support pole system of the Hoopstar Nova is also something to consider. 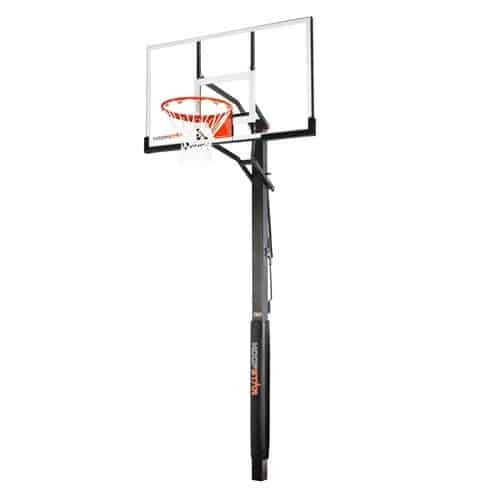 Both the 54 Inch and 60 Inch backboard versions have a two piece support pole system which is fairly standard for mid level in ground basketball hoops. The 4X4 inch square support pole is stronger than circular alternatives, and features Dupont rust protection so that this hoop is better prepared to handle the elements compared to other systems. The support pole also comes with some padding, however, it only really covers the bottom half of the pole so it may not protect players in all situations.